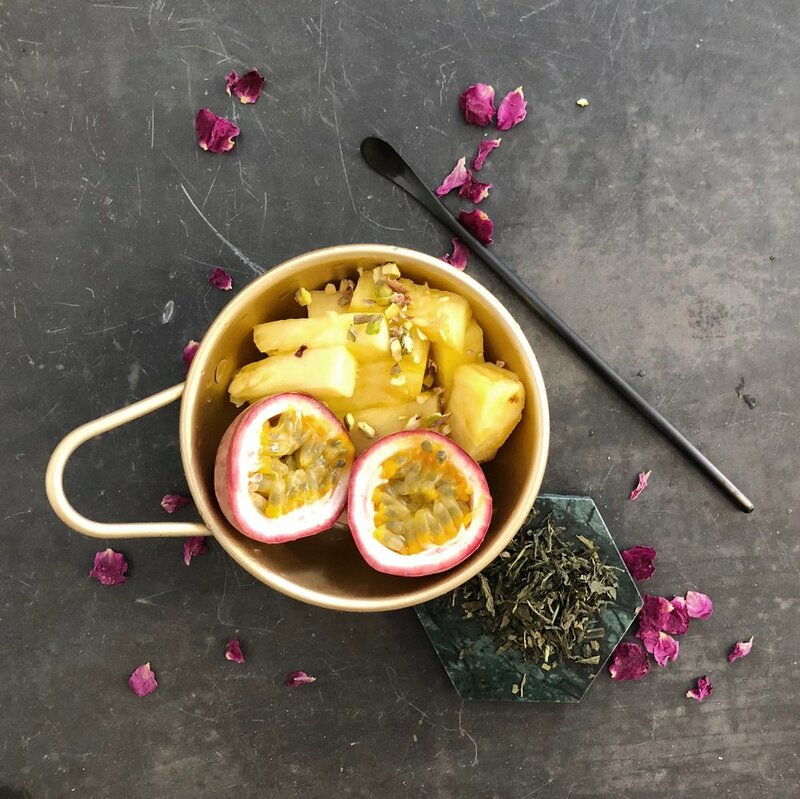 FRUITEA is our cocktail-inspired beverage made with diced fresh fruits on the bottom, cold-brew tea in the middle , and YOGO MOUSSE on top, garnished with lemon zest, crushed nuts or rose petals. They are not only photogenic but extremely healthy. The diced fresh fruits at the bottom of the cup act as our version of “pearls” or “jelly”. YOGO MOUSSE is our original healthier alternative to cheese foam. It is made with yoghurt instead of cream cheese. Inspired by the Peaches still life painting by Abstract Expressionist artist, Henri Matisse. 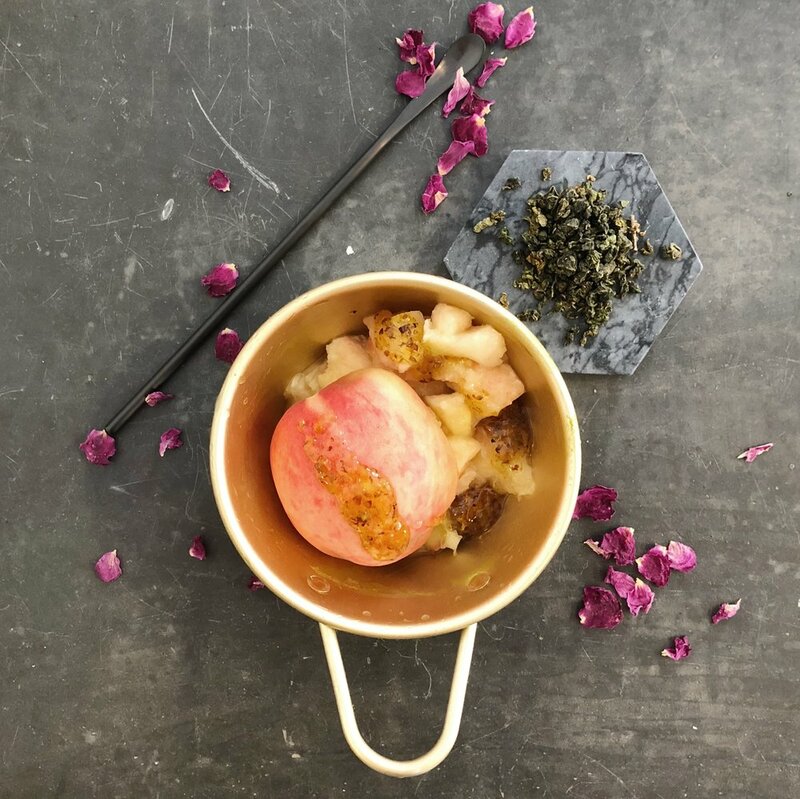 This drink brings together the expressive aroma of peaches with the peachy flavor already present in our Oolong Refresh to give our customer a sweet but refreshing taste. Inspired by the Pears still life paintings by Impressionist artist, Paul Cezanne. This drink is a perfect combination of the Asian pears with the Japanese Gyokuro Karigane, our Green Refresh tea. Come experience our Japonnaise Impression. 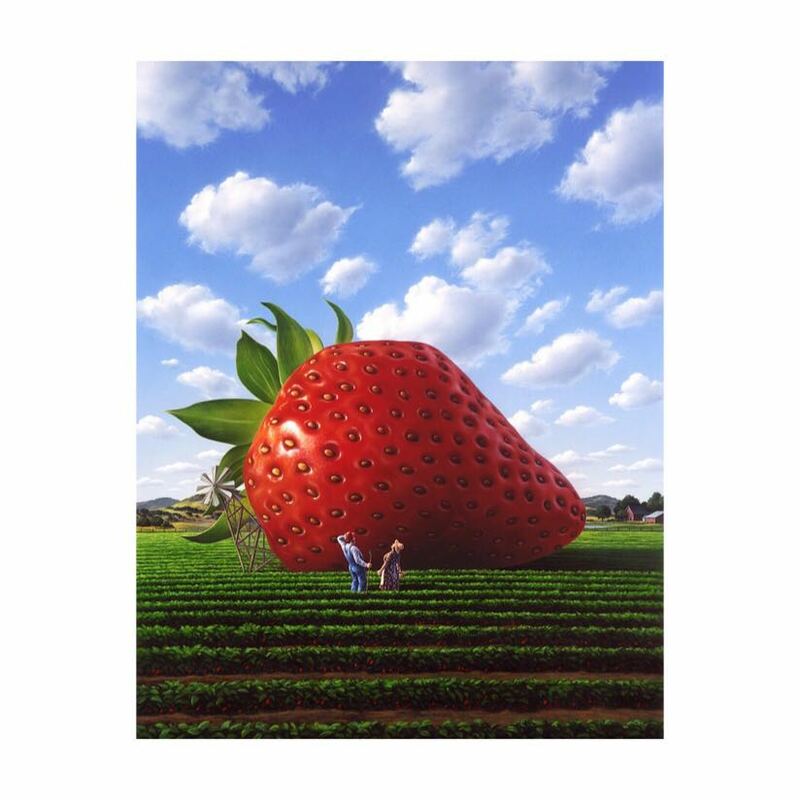 Inspired by the Unexpected Strawberry illustration by contemporary illustrator, Jerry LoFaro. It is a surreal experience with diced strawberry and jade oolong. Filled with anti-oxidants. Georgia O’Keefe, the American Modernist painter, was once asked to travel to Hawaii to paint pineapples for Dole’s ad campaign. But when she arrived in Hawaii, she had a different idea about the kind of pineapples she wanted to portray. 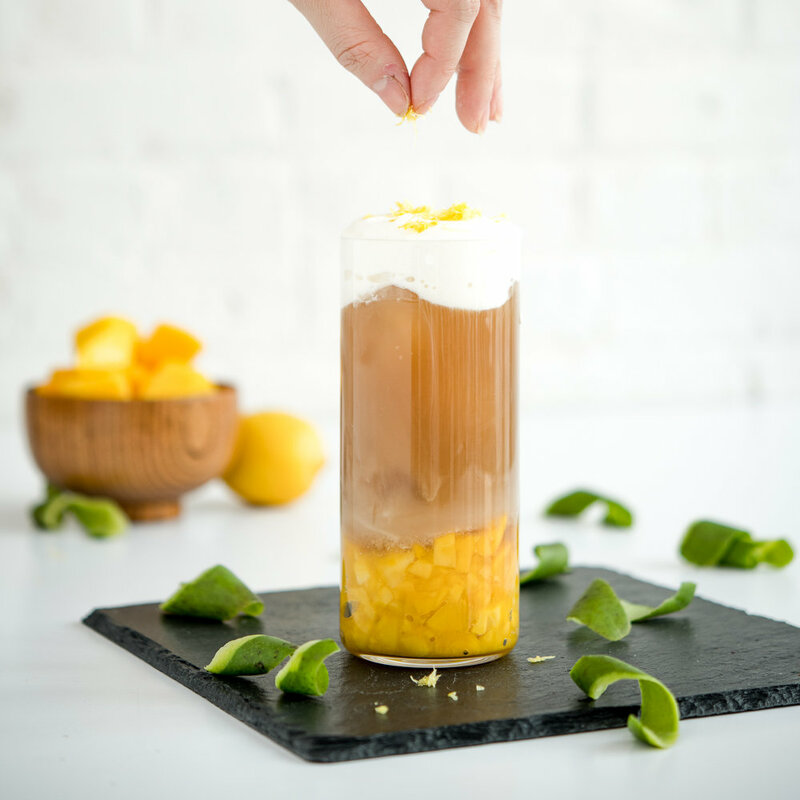 This drink hopes to inspire you as much as how Hawaii’s ocean breeze had inspired O’Keeffe. Frida Kahlo is one of Mexico’s most influential artist, with her thought-provoking self-portraits. Though she was lesser known for her still life, tropical fruits and flowers had been a recurrent motif. 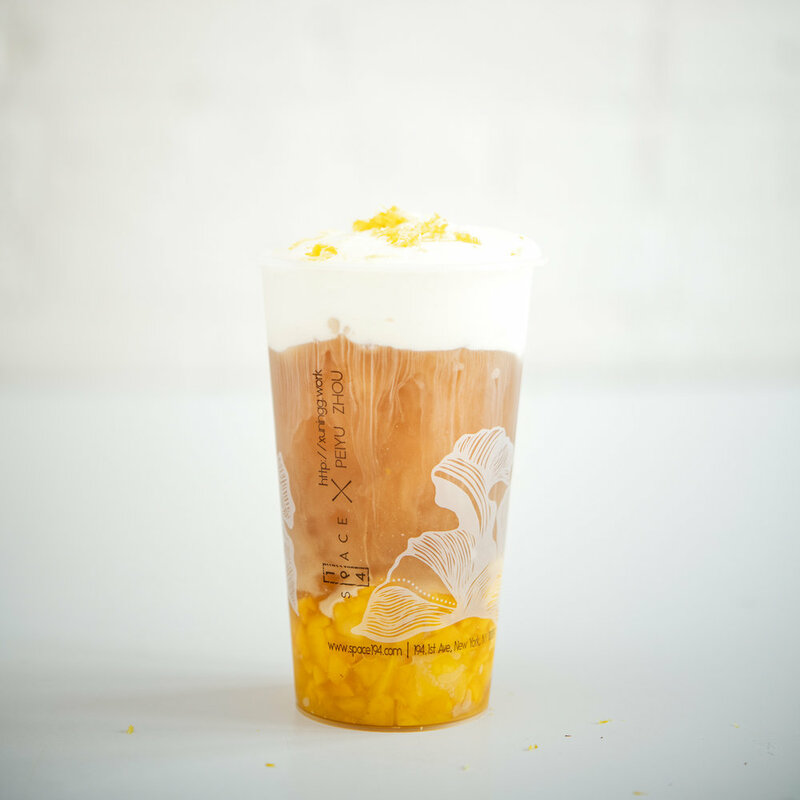 We want to capture the complexity of Frida’s works with this drink’s unique combination of mango’s sweetness, Lapsang Souchong’s smokey aroma and lemon’s citrusy freshness. Mark Rothko is known for his paintings made up of colored bars. 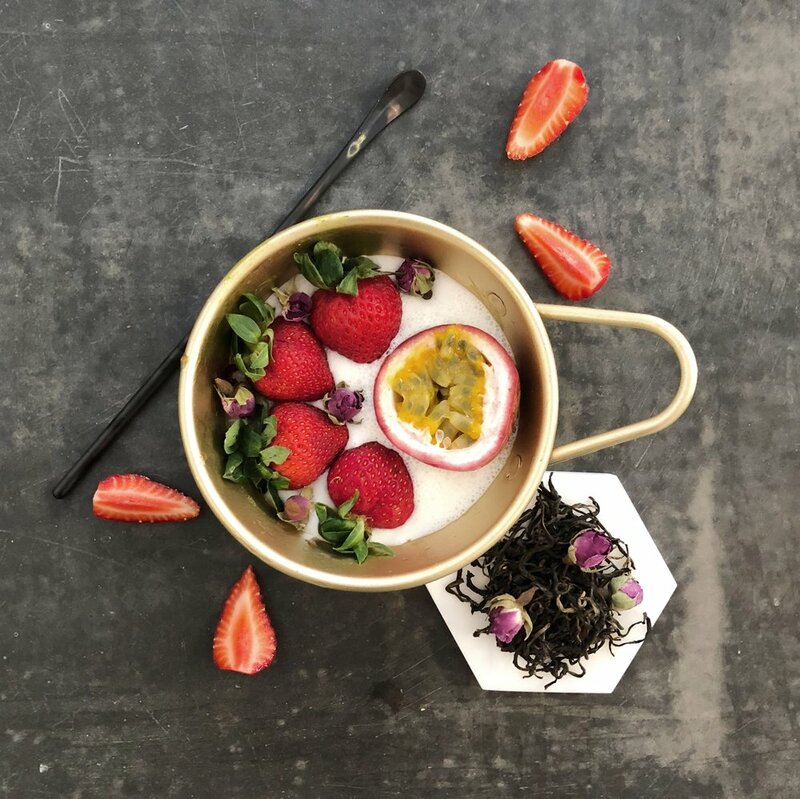 This has also inspired our creation of this layered drink featuring complementary colors of green and red derived from matcha and pink dragonfruit. The textures of the two — the unique softness and pulpiness of dragonfruit and the powdery matcha — also complement each other.